Square has bought San Francisco-based website building operation Weebly for a cool $365 million (£265 million). Square has agreed to pay that sum in a mix of cash and stock as is typical in an acquisition, and the deal is expected to close before the end of this quarter (i.e. before June is out). Square specializes in mobile payments and payment solutions in general, and the idea is to use that expertise to allow those building their website with Weebly to benefit from Square’s managed payment solutions (both of the hardware and software variety). Which are the best e-commerce platforms of 2018? Weebly has over 625,000 paying subscribers which will obviously be a fresh market for Square to tap, and the firm noted that almost 40% of those customers were outside of the US, so that will help to further Square’s global ambitions. Alyssa Henry, Seller Lead at Square, commented: “Omnichannel commerce is our top focus area in 2018. From managing orders, appointments, and payments to building a website, running a business is complex, and entrepreneurs around the world want powerful and intuitive tools. 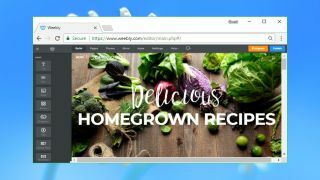 Weebly is one of our top-rated website builders, and in our review, we were impressed with its overall power and stylish responsive templates.